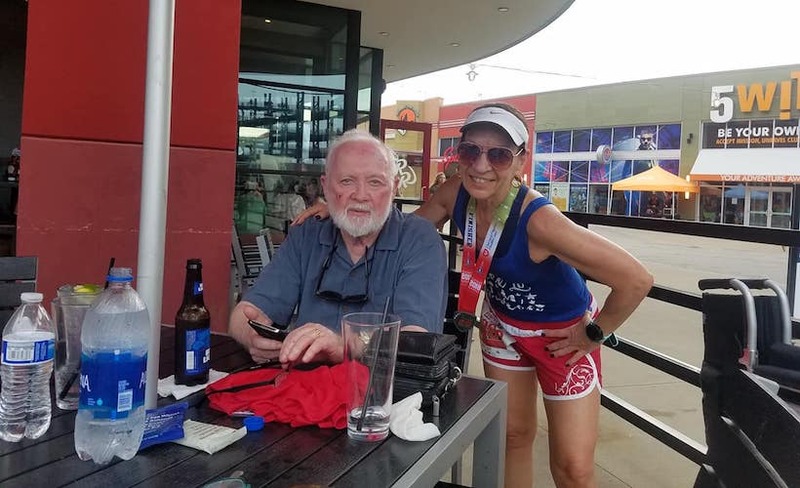 Photo of Louise O’Boyle with husband John at a 5K at Gillette Stadium in Foxborough, Mass. Let’s face it: We don’t want to get old, but getting older enthusiastically is rewarding. If someone had told me when I was in my 20s that running would benefit me during my golden years, I probably wouldn’t have believed them. I hate to admit it, but I was a smoker. It wasn’t until I approached the dreaded 40s that I tried running to encourage myself not to smoke. While it wasn’t an easy decision, in my mind it was necessary. I didn’t have any health issues at that time, so I can’t say that there was a sense of impending doom; it was just a smart thing to do. At 66, I have now been smoke-free for almost 25 years thanks to running. I’m known as a perfectionist, perhaps a competitor…maybe a little of both. A run around the block led to my first 5K, then a 5.5 miler, a 10K, a half marathon and finally the ultimate challenge: a full marathon in 2009 at 57 years old. Although I won’t attempt another full marathon, 5Ks, 10Ks and half marathons are still in my future and already on my calendar. My competitive nature has kept me going. The fact that I occasionally place in (or even win) my age group has provided me with a sense of accomplishment and the desire to improve. Sometimes, simply finishing a difficult race is all I need. Sometimes getting through a warm, humid, morning run makes me want to do better. Sometimes just knowing that I can run at 66 years old is my prize. Although I’m competitive, I am also cautious. During the 2009 Chicago Marathon, I hurt my IT band within a few miles of my goal. While that didn’t stop me, I realized that I had to complete intervals of walking and running. I kept telling myself that I had to finish. My husband was waiting for me. My family was preparing a party for me. I was determined, and I finished with a 4:51:59 time. My husband keeps warning me about knee injuries and other types of maladies. He’s worried, and I listen. I do take care of myself and listen to my body. After all, I’m on Medicare. That does make me older, but not old. I plan to continue running until my body says otherwise. My age is just a number.